Welcome to the Sarasota area, where the beautiful beaches meet genuine culture. It is Sarasota, where you can enjoy breathtaking sunsets, educational museums, operas, ballets, plays, art galleries, golf tournaments, and boat races. You can join in tennis, lawn bowling, water skiing, shell collecting, bird watching, growing exotic tropical plants, university classes, golf, or boating. The striking allure of Sarasota will get your attention on your first visit. The vibrant colors of the Gulf of Mexico and Sarasota Bay contrast against the brilliant white sand of Longboat Key, Lido Key and Siesta Key beaches. A rainbow of colors comes from the tall condominiums shining in the sun, the warm tile on the roof and patio of the mansion built by circus magnate John Ringling, the various green hues from the lush jungle-like vegetation, the flowers that are blooming any month of the year, and the lavender seashell-design Van Wezel Performing Arts Hall. 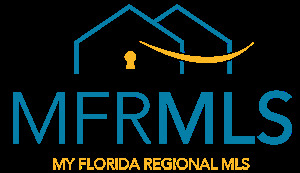 No matter what you draws you to Sarasota, Michael and Eric are the Realtors® to find that perfect property for you. Focused on laser-sharp customer service, they can help you find the right condominium, townhouse, villa, single-family residence, or vacant land upon which you can build your dream home. Begin your search for real estate today by reaching out to either Michael or Eric. Sarasota boasts some of the oldest and newest homes in the area. Some homes were built over 50 years ago as winter vacation cottages. Others are new and include gated communities, bay front estates and inland bungalows. You’ll find manicured grounds, marble foyers, soaring ceilings, the newest fixtures and technological advances, and spectacular views. Sarasota has something for everyone and offers buyers the opportunity to get away from the hustle of big city life while still maintain a rich cultural community. Traveling to areas around Sarasota is easy, with quick access to Interstate-75. Tampa and the Tampa Bay Buccaneers, Florida Aquarium, Dali Museum and other attractions, is only an hour north of Sarasota. Disney World’s many attractions, near Orlando, are only 125 miles away, about a 2.5-hour drive. Mike and Steve visit the Sarasota Chalk Festival and take a look at some of the masterpieces created by talented artists from around the world. The old Sarasota High School building is getting a new life and a new purpose.